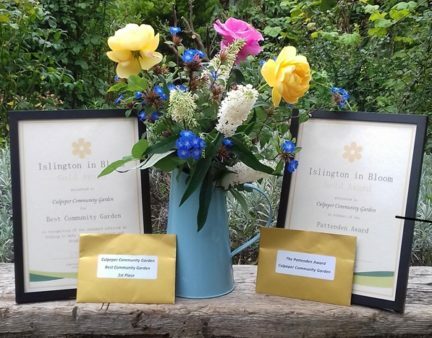 Culpeper Garden was 1st in Community Gardens category at Islington in Bloom! We also won a special prize sponsored by Islington Gardeners, the Pattenden Award for the best wildlife-friendly entry! Big Thanks to all our Plot-holders & our fabulous team of Volunteers whose hard work has won us these prizes.